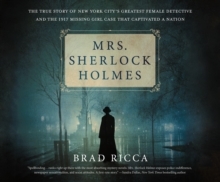 Mrs. Sherlock Holmes tells the incredible story of Mrs. Grace Humiston, the New York lawyer and detective who solved the famous cold case of Ruth Cruger, an 18-year-old girl who disappeared in 1917. Grace was an amazing lawyer and traveling detective during a time when no women were practicing these professions. She focused on solving cases no one else wanted and advocating for innocents. Grace became the first female U.S. District Attorney and made ground-breaking investigations into modern slavery. One of Grace's greatest accomplishments was solving the Cruger case after following a trail of corruption that lead from New York to Italy. Her work changed how the country viewed the problem of missing girls. But the victory came with a price when she learned all too well what happens when one woman upstages the entire NYPD. 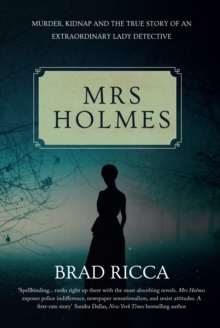 In the literary tradition of In Cold Blood and The Devil in the White City, Brad Ricca's Mrs. Sherlock Holmes is a true crime tale told in spine-tingling fashion. 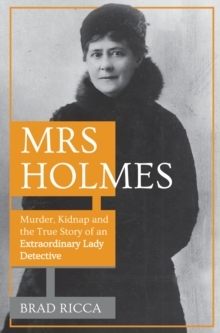 This story is about a woman whose work was so impressive that the papers gave her the nickname of fiction's greatest sleuth. 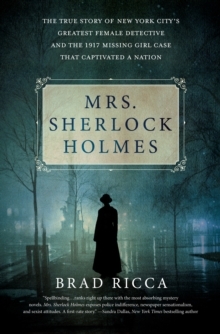 With important repercussions in the present about kidnapping, the role of the media, and the truth of crime stories, the great mystery of the book and its haunting twist ending - is how one woman can become so famous only to disappear completely.